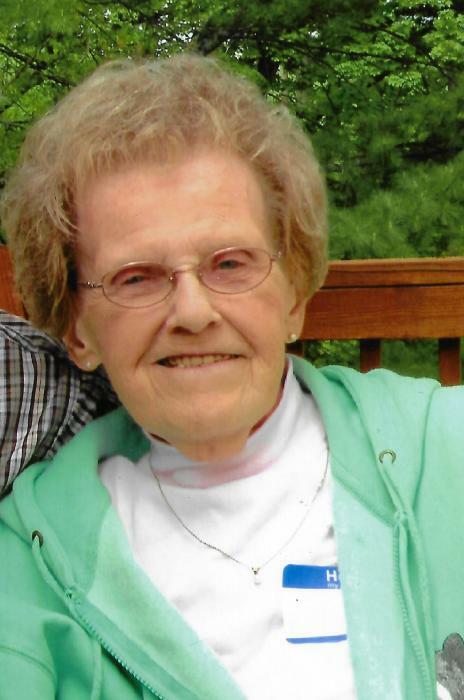 Obituary for Barbara L. (Bower) Munsell | Knight-Confer Funeral Home, Inc.
Barbara L. Munsell, 81, of Williamsport, passed away on Friday, March 22, 2019 at the Williamsport Home. Surviving is her loving husband of 40 years, Daniel M. Munsell whom she married Nov. 17, 1978. Born June 24, 1937 in Williamsport, she was a daughter of the late Joseph W. and Elizabeth R. (Brenholtz) Bower. Barbara was a graduate of Williamsport High School, class of 1955 and a graduate of the Williamsport School of Nursing. She was a member of Tabernacle Baptist Church. She worked as a registered nurse at Williamsport Hospital for 25 years until her retirement in 2001. Following her retirement as a nurse, Barbara became co-owner with her husband of Country Pine Furniture. She could be found going to flea markets and farmers markets to do arts and crafts for their business. She was a member of the retired nurse’s and enjoyed their lunches they had together. Barbara was a member of the Moose and loved slow dancing and going to concerts with her husband. Surviving in addition to her husband are; a son, Richard J. Tabatabai (Debbie) of Williamsport, step-sons; William D. Munsell (Diane) of St. Joseph, MO and Stephen D. Munsell (Missy) of Milton, a step-daughter; Barbara C. Springer of Jersey Shore, six grandchildren Eric Brague, Riché Tabatabai, Elijah Tabatabai, Cody Springer, Katessa Springer, and Laura Eckenroth, a great-granddaughter Amariah Eckenroth, and a sister; Rebecca A. Jean of Duboistown, and many nieces and nephews. Barbara was preceded in death by two sisters; Joanne E. Harner and Nancy J. Slater. A funeral service to honor the life of Barbara will be held 12 p.m. (noon) Saturday, March 30, at Knight-Confer Funeral Home 1914 Memorial Ave. Williamsport with the Rev. Joel Long officiating. Burial will follow in Pleasant Hill Cemetery, Hughesville. A viewing will be held from 6-8 p.m. Friday at Knight-Confer Funeral Home. Memorial contributions in Barbara’s name may be made to Tabernacle Baptist Church 911 West Third St. Williamsport, PA 17701.